Together with generous support from our customers, employees, local architects, contractors and product manufacturers, we are creating a legacy of hope in the communities in which we work. Numerous sponsors, including USG, YKK AP America, Kawneer Alcoa, Vinyl Institute and ProEst have made significant donations to help renovate the Philadelphia Recreation Center in inner-city Philadelphia. 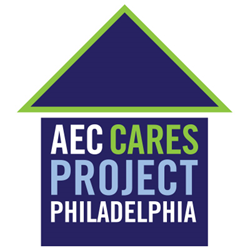 The recreation center was recently chosen as the recipient of AEC Cares’ sixth annual blitz build, which will take place on May 18, 2016 one day prior to the AIA National Convention at the Pennsylvania Convention Center. CMD iSqft, one of the leading providers of construction information in North America, AIA and Hanley Wood Media have joined forces the past six years for the AEC Cares’ blitz build, an annual building project that provides community support for worthwhile projects across the United States. Used by hundreds of children in the Sharswood neighborhood for after school and sports programs, the Athletic Recreation Center is in desperate need of repair and upgrades. During the blitz build, AEC professionals will improve the center’s main entrance, lobby space, after school art room, performance space and more. Past AEC Cares projects include the rebuilding of five homes devastated by Hurricane Katrina, the revitalization of houses for homeless teens in Washington D.C. and the transformation of a 30-year-old former school building into a cheerful up-to-date daycare and early learning center for impoverished children in Chicago’s Southwest Side. In 2013, AEC Cares renovated over $250,000 in improvements to a homeless facility for veterans in Denver. Last year’s project included upgrading an inner-city Atlanta shelter for youths in crisis. Additional sponsors this year include: Greenway Group, Design Futures Council, Armstrong Flooring, Cookerly Public Relations, USI, Hunter Douglas, Panolam, and Otis Elevator Company. To sponsor the AEC Cares project or to find additional information, visit aeccares.com. 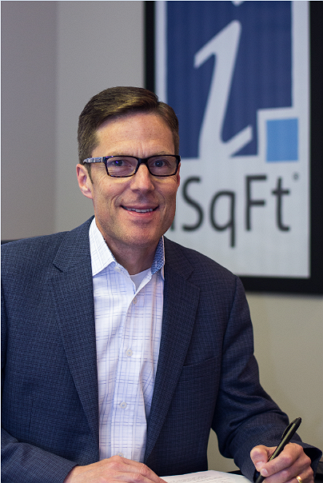 CMD iSqFt, the Innovation Partner of the AIA, is a leading North American software-as-a-service provider serving the commercial construction industry with a network that connects hundreds of thousands of general contractors, subcontractors, manufacturers and suppliers. The company was formed following mergers of leading construction data and analytic providers, CMD, BidClerk and iSqFt. The combined company’s diverse portfolio of innovative products and technologies includes thousands of national, regional and local project leads, marketing solutions and market intelligence to provide insight to construction industry professionals throughout the U.S. and Canada. Visit the CMD iSqFt website at cmd.isqft.com. AEC Cares is a 501c3 not-for-profit corporation actively supported by CMD with the AIA and Hanley Wood, generous sponsors, donors and volunteers. Bringing together architects, contractors, manufacturers and industry professionals from across the United States and Canada, AEC Cares works to create positive change through meaningful projects that benefit a new community every year. To learn more about AEC Cares, visit aeccares.com.